"Verizon officials may be planning to announce the device as soon as Monday February 28 according to people familiar with the company’s plans. Verizon will introduce the HTC 7 Trophy as its first Windows Phone 7 device for $200 on a two-year contract. 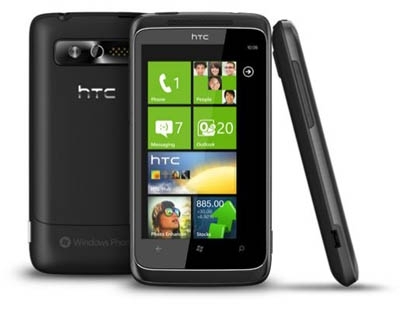 Verizon’s CDMA rival Sprint announced their first Windows Phone 7 device on Thursday, the HTC Arrive will launch on March 20 priced at $200. WinRumors understands Verizon’s offering will arrive in late March around the same time as Sprint." "I do want a strong third OS out there. It gives the carriers more flexibility and balances the interests of all the parties. But I still have doubts whether Microsoft will get the traction they are hoping for with Windows Phone 7." "We would like an opportunity to create unique value and we don't feel we could with a closed platform"
That doesn't exactly sound like a ringing endorsement for what could be their new and upcoming product, does it? How is Verizon going to market their Windows Phone devices? Will Tony Melone and Chris Wyatt end up eating their words? Only time will tell. For now, discuss it in the forums!